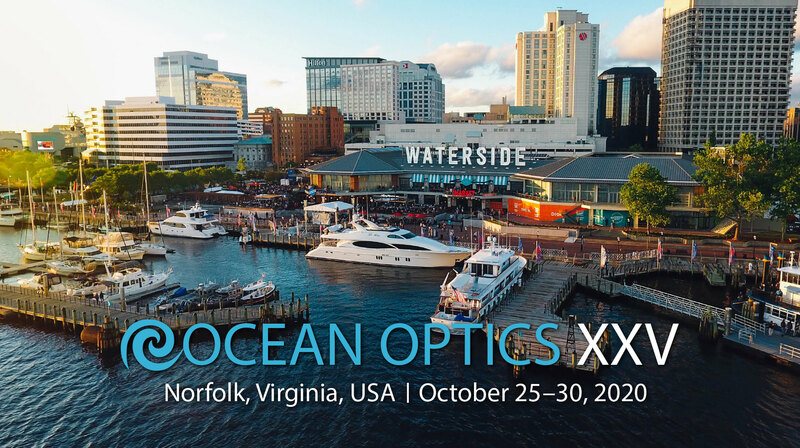 Ocean Optics XXV is organized by The Oceanography Society (TOS). As a professional society, TOS is committed to supporting a community that encourages the open expression and exchange of ideas, that is free from all forms of discrimination, harassment, and retaliation, and that is welcoming to all members and to those who participate in its activities. In pursuit of that commitment, TOS is dedicated to the philosophy of equality of opportunity and treatment for all participants. Join your colleagues in fall 2020 to explore and expand the many facets of ocean color remote sensing and optical oceanography, including basic research, technological development, environmental management, and policy. Join the email list and receive updates. Looking for the 2018 Ocean Optics website?